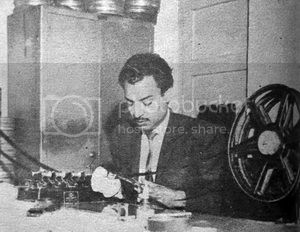 M. Akram who started his film career as Editor with Anwar Kamal Pasha’s Ghar Jawai (1958), afterward who changed his track as film director. In both the fields he proved as mature and successful professional. As it is said that film editor plays very vital role in the success of any film so once M. Akram took the command of director’s chair he proved himself in this field and gave some piece of art films in his career under the banner of his film production house Pervez Productions. Muhammad Akram was born 28 March 1934 at Gujranwala. In 1945, father of Muhammad Akram shifted from Gujranwala to Lahore along with his family and settled in Krishan Nagar (now Islampura). Muhammad Akram also moved with his family along with his brothers M. Pervez and Tufail Imran. It is worth mentioning that Tufail Imran died in 1995. Muhammad Akram got his prelimnary education from Krishan Nagar. In his childhood Muhammad Akram also got a chance to play as child star in films like Poonji, Jhumkey, Kaisey Kahon, Pagdandi, and Barhman through M. Ajmal who used to live in close neighborhood of M. Akram. So in very early age he had introduction to film industry. Senior sound recordist A. 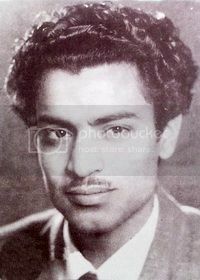 Z. Baig who have seen M. Akram as child star observed hidden qualities which were inclined towards technical aspect of cinematic field so he suggested him to adopt field of film editing and helped M. Akram in learning the editing techniques under renowned film editor M. A. Latif and very soon he started working under his study as Assistant Editor. M. Akram gave editing of almost fifteen films. Due to his devotion, dedication and hard work as assistant editor, M. Akram was picked by the film directors as film editor. Anwar Kamal Pasha ho was planning to produced a film named Dilbar in which he also acted and directed the film. Anwar Kamal Pasha was admirer of edit crafting of films demonstrated by M. Akram so he selected him as film editor for Dilbar. So thats way Dilbar became the debut film for M. Akram as film editor which was released on August 4, 1951, although from business point of view this film was flopped but gave a good strength to Anwar Kamal Pasha as film director and M. Akram as film editor. So in most of coming films of Anwar Kamal Pasha, M. Akram remained film editor of his films. Here it is worth mentioning that not only the Anwar Kamal Pasha, other great directors also preferred M. Akram for editing of their films. As it is said that film editor plays very vital role in the success of any film So realizing this fact, M. Akram put in his best and many films proved to be hit at the box office just because of good editing and sequence joints done in very befitting manner. A time came when M. Akram was the main demand of directors as their film editor. once M.
As successful film editor M. Akram was much wise to take on the field of director as he has understood the minor techniques of directorship which used to attract the success of any film. Encouraged and enthusiastic M. Akram decided to check his capabilities as film director. When M. Akram took the command of director’s chair he proved himself in this field and gave some piece of art films in his career under the banner of his film production house Pervez Productions. Akram started his career as film director with film Ghar Jawai which was released in 1958. After Ghar Jawai he directed Teer Andaz which was produced by editor of magazine Teer o Nishtar, Khawaja Ghulam Hussain. It was an Urdu film but unfortunately it proved to be a flopped film. Janbaz was his third film as director in which Shiren was paired with lead actor Muhammad Ali. From business point of view Janbaz did good business. It is worth mentioning that during the direction of above mentioned films he kept on attached with his basic trade that was Film editing. Meantime, his brother M. Pervez started his film production house named Pervez Productions while collaborating M. Akram as director of the films produced under this banner. 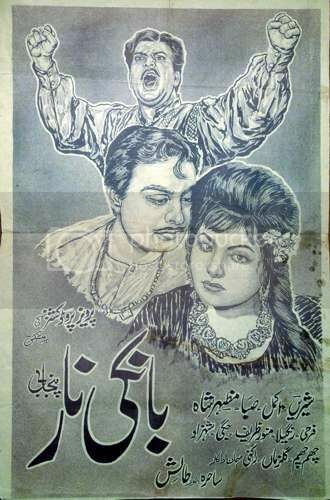 Banki Nar was the first film which was produced by Pervez productions. In this film both sons of M. Pervez, Zubbair Alam and Shoaid Alam also appeared as child stars. This film did well at box office and then it gave very successful films one after the other. M. Pervez (Producer and Distributor) – Brother was producer and established film production house named Pervez Productions and mostly produced films which were directed by M. Akram. Tufail Imran (Producer and Distributor)- Brother who produced Sultan, Shagna Di Mehndi, Hathiyar, Sher bahadar, Ucha Shimla Jatt Da and Puttar Jagge Da. Tufail Imran died in 1995. Sahira is the sister of M. Akram who played as actress in some of Urdu and Punjabi films. Saba – she is niece of M. Akram and performed as actress in some of the films like Sultan. Zubair Alam is his nephew and son of M. Pervez who appeared in few films then worked in TV dramas and also performed in stage shows. 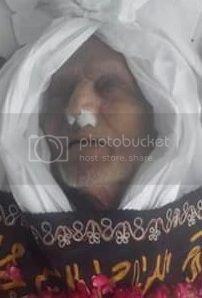 M. Akram died at Lahore on April 3, 2016 and was buried at Cavalry ground graveyard.